Quality swivels attractively packaged in the Devils Own livery. 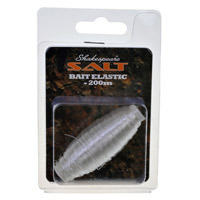 The range includes Barrel, Barrel snap and three way swivels in a variety of sizes that will apply to most types of UK fishing types including fresh and saltwater applications. A quick and effective way to create a hook snood swivel on shore and boat rigs. Position and secure with rig crimp at each side. 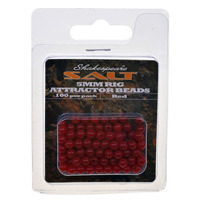 Positioned on the hook trace above the hook, these brightly coloured beads can be used in single or sequence colours to visually attract fish. Also used for general rig making. 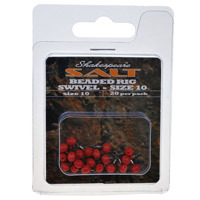 A strong, compact bait clip designed to be slid on the rig body and secured between beads and crimps. Streamlines the rig and bait during the cast to maximise casting range and retain good bait presentation. 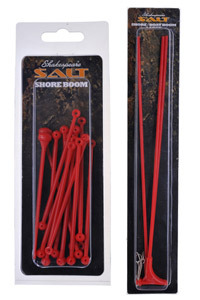 Plastic booms designed to rotate the rig body and reduce tangles when fishing light hook lengths, plus maintain natural bait presentations which are particularly good for flatfish rigs. 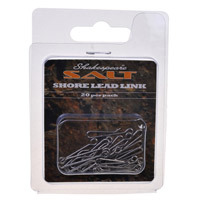 A tough, simple lead link clip for attaching lead weights; used on both shore and boat rigs. 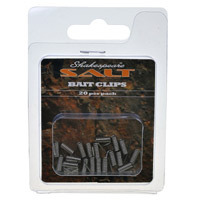 The shore lead bait clip features a built-in bait clip for clipping hooks in, to streamline the bait and rig for maximum casting distance. 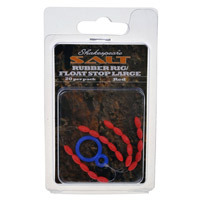 Slide-on rubber stops for setting the depth between float and bait when float fishing. 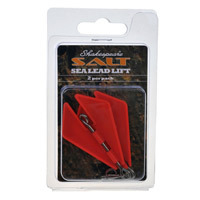 Also used on shore and boat fishing rigs as sliding stops to position swivels with hook lengths attached. This allows the hook lengths to slide up and down and be repositioned on the rig body to alter the way the bait is presented and improve catch rates. 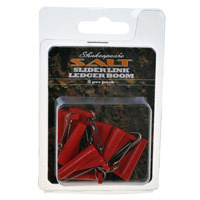 Slide-on rubber stops for setting the depth between float and bait when float fishing. Also used on shore and boat fishing rigs as sliding stops to position swivels with hook lengths attached. This allows the hook length to be slid up and down and be repositioned on the rig body to alter the way the bait is presented and improve catch rates. A small, compact sliding boom with lead link attachment. 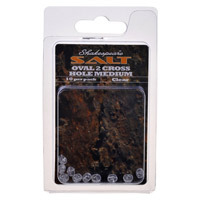 Used for sliding ledger rigs when targeting fish such as conger, tope and rays. Fine, strong bait elastic for securing soft baits, such as mackeral, mussel and lugworm, to hooks when power casting. A clear rig bead with a cross-hole designed to take mono and fluoro carbon hook lengths without the use of a swivel, minimising rig components and reducing the scare factor of shy biting fish. Strong and durable swivels used for general rig building. 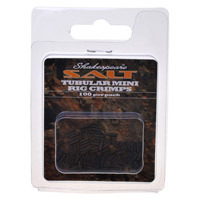 These Mini Rig Crimps are the perfect accompaniment to building strong and neat fish-catching rigs. 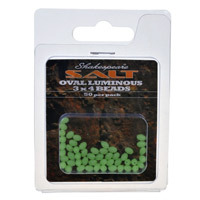 Luminous beads used singly or in sequence as a visual attractor in deep, coloured water and in night time fishing situations. Position on the hook trace above the hook. An aqua-dynamic plastic wing to lift and swim a lead weight up quickly through the water column when retrieved at speed.